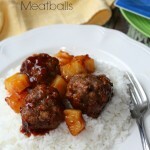 These Sweet and Sour Meatballs are a must make family supper. They will be on the table in less than 30 minutes. Every year at our school, the 2nd graders celebrate Chinese New Year. They learn the history, the traditions and get to taste different foods that go along with the day. They even get to eat their meal with chop sticks. In honor of the Chinese New Year, I thought I would make Sweet and Sour Meatballs with one of my kitchen helpers. 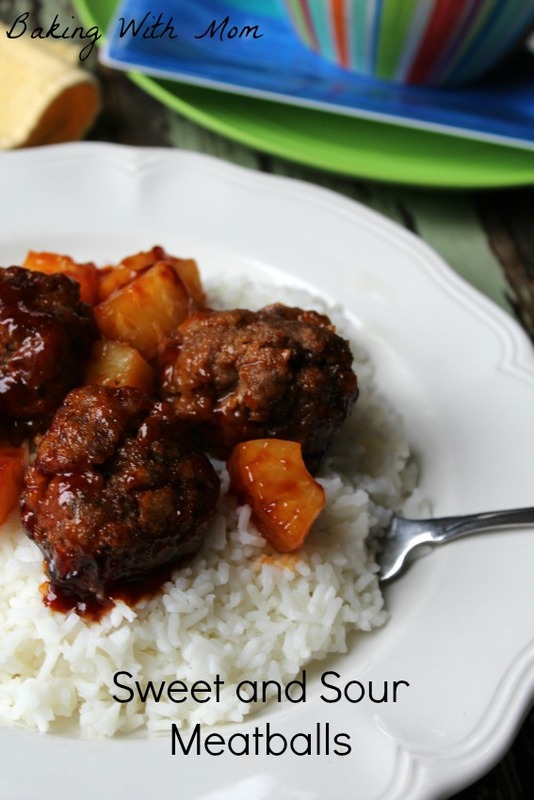 The blend of the Kikkoman Sweet and Sour Sauce with the ground beef is a unique twist on standard meatballs. (You can find a coupon here for Kikkoman sauces.) I have used soy sauce before in recipes and it can be used to add flavor to a variety of dishes. 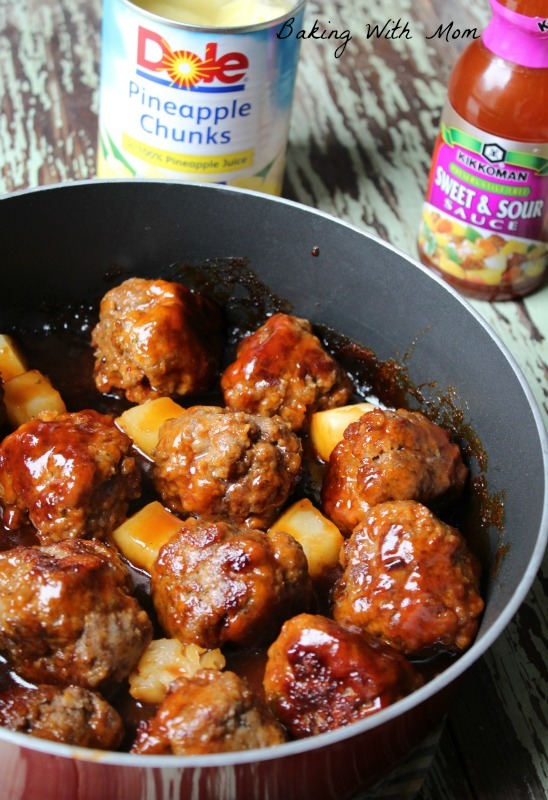 However, for sweet and sour meatballs, Kikkoman sweet and sour sauce is perfect. To complete the recipe, the meatballs with be served on a bed of Minute® White Rice with Dole Pineapple Chunks (in 100% juice and rich in vitamin C). 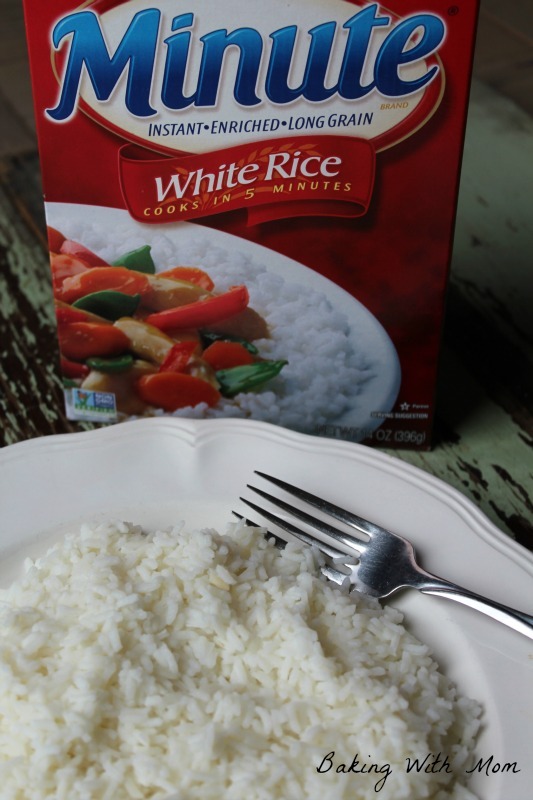 As a busy family, Minute® White Rice is perfect for any meal. It is the original instant rice, ready in just five minutes. Great for a quick addition to any meal. It is fat free and cholesterol free. With the children’s after school schedules, delicious, easy to make meals are so important to us. 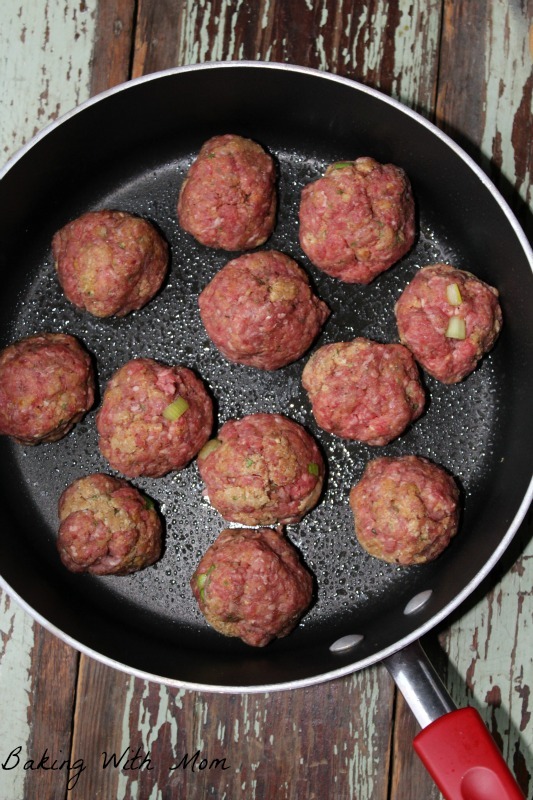 This sweet and sour meatball recipe can be on the table in less than 30 minutes. With the recipe in mind, I headed to Walmart to buy the ingredients. 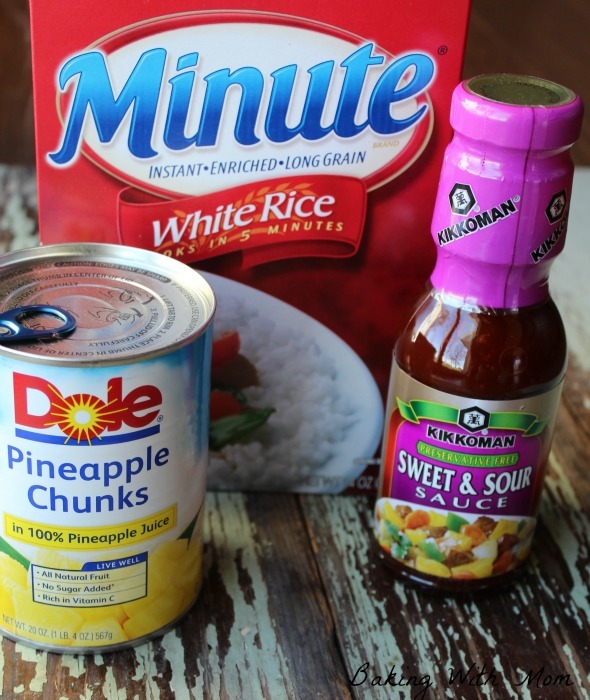 Finding the Dole Pineapple Chunks, Kikkoman Sweet and Sour Sauce and Minute® White Rice at Walmart was a cinch! 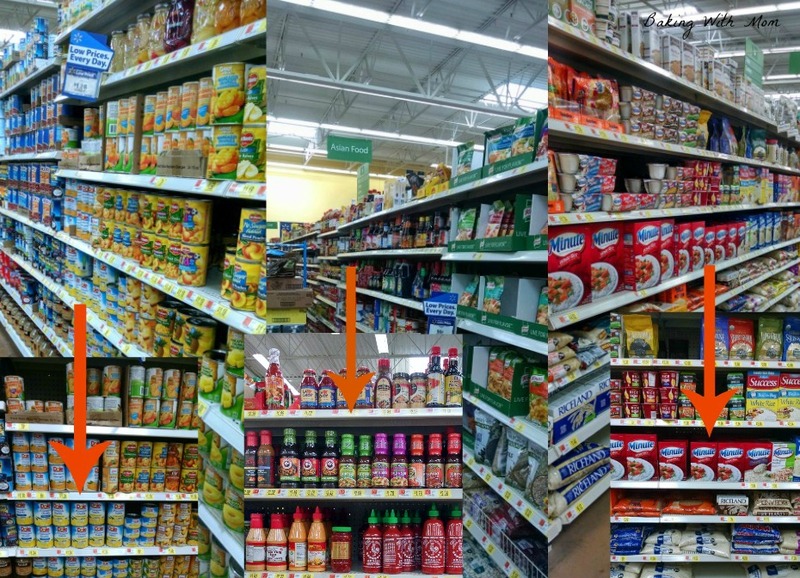 The Minute® Rice and Kikkoman’s sauce were in the same aisle (Asian food, soups, rice). The Dole Pineapple was found in the canned goods aisle. Making the Sweet and Sour Meatballs was so easy. 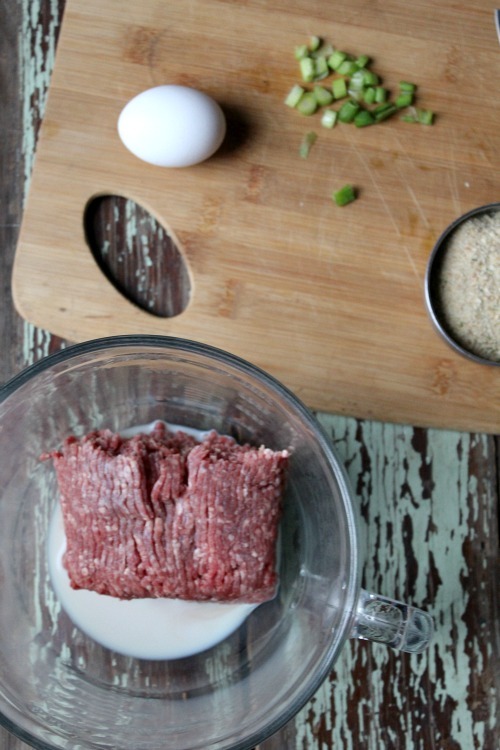 First I combined the milk and ground beef. I then rolled the mixture up into meatballs and placed them in a greased frying pan. I prepared the rice while the meatballs were simmering on the stove. 5 minutes to make=perfect! 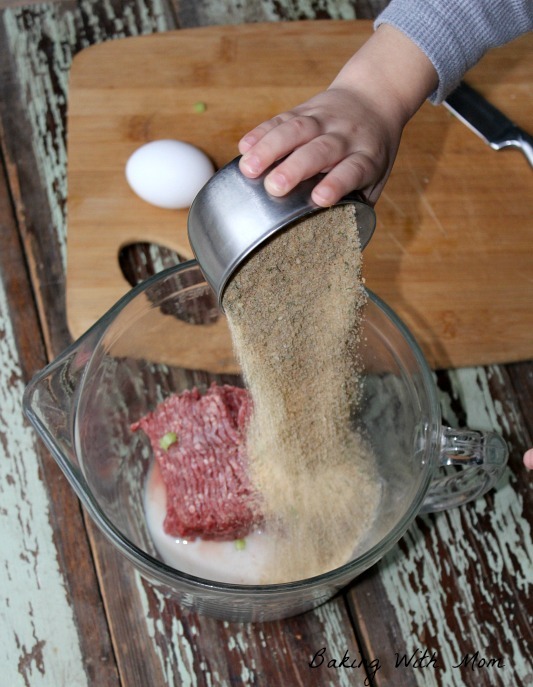 You’ll enjoy this quick easy supper for your family! 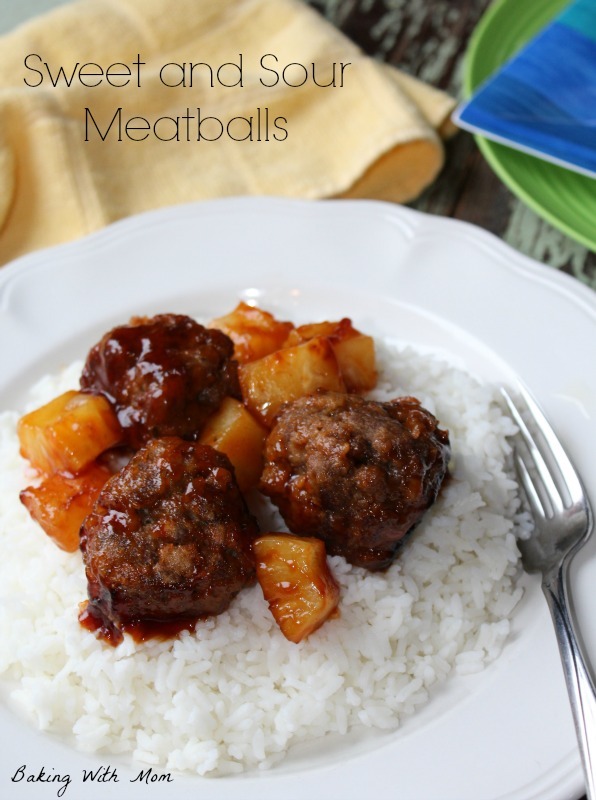 Sweet and Sour Meatballs is an Asian inspired recipe featuring a blend of flavors. Easy to make! Here is a coupon for Dole Pineapple Chunks. Tell me: have you ever used sweet and sour sauce in your recipes?